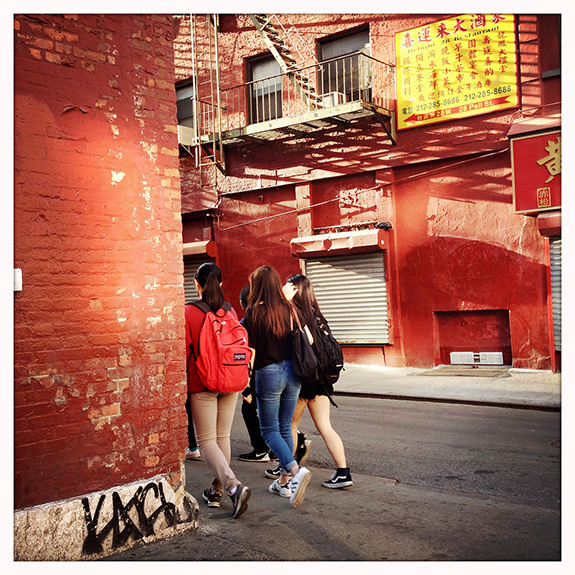 We’re back on Pell Street, one of NYC Chinatown’s historic streets. This week we took a look at the changing Lower Manhattan neighborhood and some of the people who call it home – New Yorkers who stick up for their community in their very own ways and by utilizing their unique strengths and talents. About half the people featured in this series are American-born Chinese, with the other half coming to the city as children or young adults. Some are alumni of the initial Asian American movement. Many found their calling early; others embarked on a second career chapter later in life, or began serving their community in their retirement years. They somehow manage to run a volunteer program after hours, or have built businesses that became gathering points and neighborhood beacons. A few made their careers in community service, whether as police officers, social workers or youth counselors. It’s an eclectic mix: each participant recommended the next person. We kept it super grass roots by staying clear of elected representatives or people at the helm of established neighborhood institutions. A few people featured here are too advanced in age to be baby boomers, but everyone is over 50. And of course, this list in all its idiosyncrasies could never be complete, as there are a myriad ways to stand up for one’s community or be a good neighbor. Time will tell how Chinatown will fare in the years to come, and how the next generation will make it their own, but for now: thanks for stopping by!